These notes were given in class with more visual content. This is the basic outline of information that will be required understanding for the test/quiz. If you missed the in class lecture, please download the handout below and complete it as you view the notes. A First Look: Air Cochran, 1999 . Full Video. Discovery Education. Web. 5 October 2012. <http://www.discoveryeducation.com/>. Discovery Education. Web. 18 October 2012. <http://www.discoveryeducation.com/>. Click here to check out the video of Felix Baumgartner's record-breaking jump from 120,000 feet (the stratosphere) where he reached supersonic speeds, breaking the speed of sound in free fall. You can also click here to visit the Red Bull Stratos website and learn more about this record-breaking project. 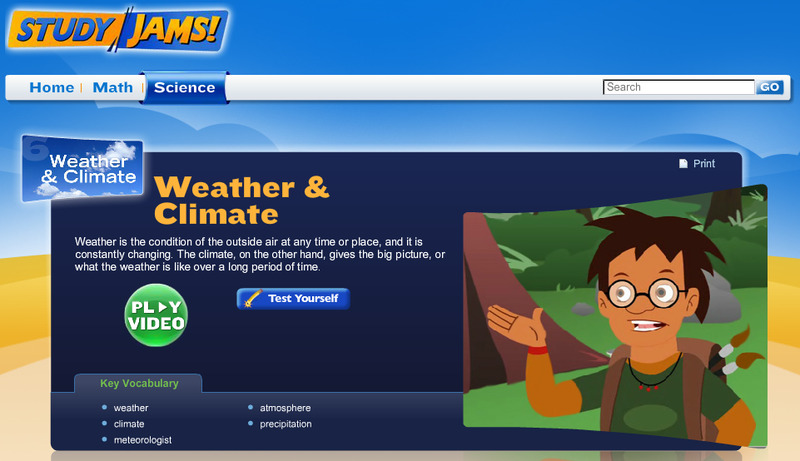 Click on the image to the left to get a nice review on the topic of weather and climate. Take the quiz after viewing this video to check your understanding.